Belle Doné Boutique Hotel & Spa is situated on the threshold of the Mpumalanga countryside in Witbank (Emalahleni), with a never-ending view of the rolling countryside. The Hotel & Spa has 13 exquisite en-suit rooms all of which are unique, for a diverse range of tastes. Belle Doné Boutique Hotel and Spa is an exquisite and newly renovated establishment situated in Emalahleni. Therefore it comes as no surprise that all our facilities meet first-class quality standards. Personal, discreet service is the trademark of Belle Doné, and guests accommodated in our 13 beautiful rooms. The staff at the Belle Doné is trained to the highest standards so as to render valuable service and assistance to guests. Whether you are enjoying a delectable meal in the tastefully decorated restaurant with cuisine prepared and presented to perfection by our professional chefs, or attending a celebratory occasion, the experience will linger on in your memory. Belle Doné is also renowned for its various corporate conference facilities. The well equipped conference facility is available for guests to conduct their local and international business with quiet efficiency. For the ultimate personal pampering indulgence, a visit to the exquisite Belle Doné Spa with its enticing menu of experiential treatments should be high on the list of priorities for our guests. Spacious Standard Double room, with a Double bed. Spacious Deluxe room, with a Queen bed. Spacious Executive room, with a King bed. Enjoy a peaceful retreat where you can unwind and enjoy the tranquil ambiance and quiet, discreet service, from the privacy of the treatment gazebos to the various relaxation areas. This piece of resistance, that has been designed with the most up-to-date equipment and beauty, health and wellness treatments. Belle Doné redefines the ultimate escape from life with the exquisite Spa. Our restaurants seating at Belle Done seats up to 24 people with 2 private lounges that accommodate up to 10 people each. The dining area is open for public diners as well as hotel guests. As we strive for perfection, our menu changes as we are striving into making our guests happy with different kinds of food seasonally. and hosting formal banquets with a distinctive flourish and elegance. The extensive conferencing, banqueting and special events facilities at Belle Doné are all designed with the high-tech electronics built in to cater for both corporate and private functions.Conferences are held at conference & functions venue, which caters for a large number of delegates which is equipped with relevant technology. Delegates are provided with the finest conferencing accessories. 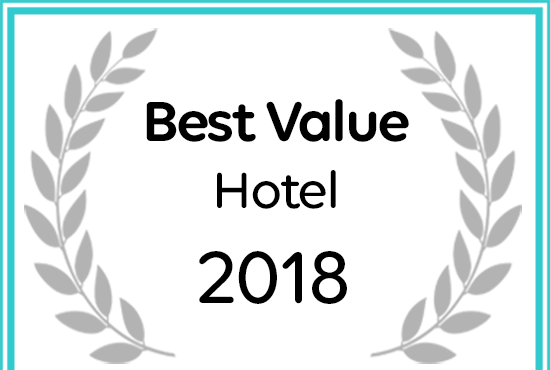 Belle Done Boutique Hotel, Spa & Conference Centre has received a 2018 Best Value Hotel Award from Afristay. Sign up here to receive promotions and seasonal news for Belle Doné!